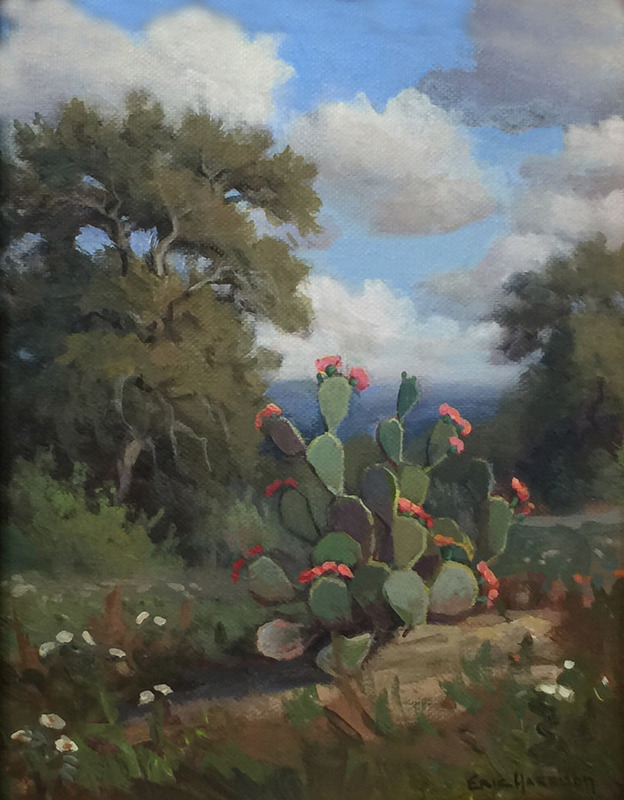 Eric Harrison "Cactus with Red Blooms"
Eric Harrison-born 1971 in San Antonio, Texas. In 1995 he married Kim Marie, and together they have two sons, Noah and Ethan. 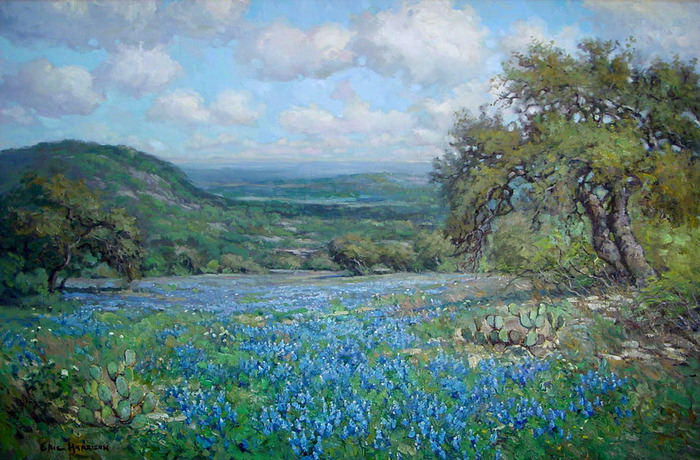 The Harrison’s reside in the hill country west of Blanco, Texas. 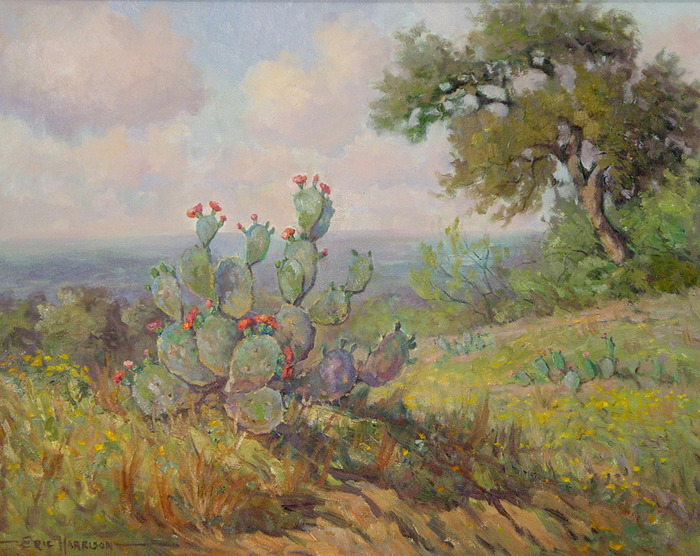 Currently painting in a language resonant with other Texas artists such as Robert and Julian Onderdonk, Robert Wood, Porfirio Salinas, Dawson Dawson-Watson, and Robert Harrison; with an affinity toward the work of California painter William Wendt. Paul Cezanne and many of the post impressionists. 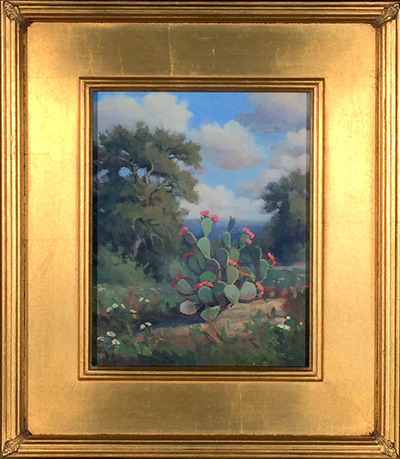 Many Farm and Ranch collections. 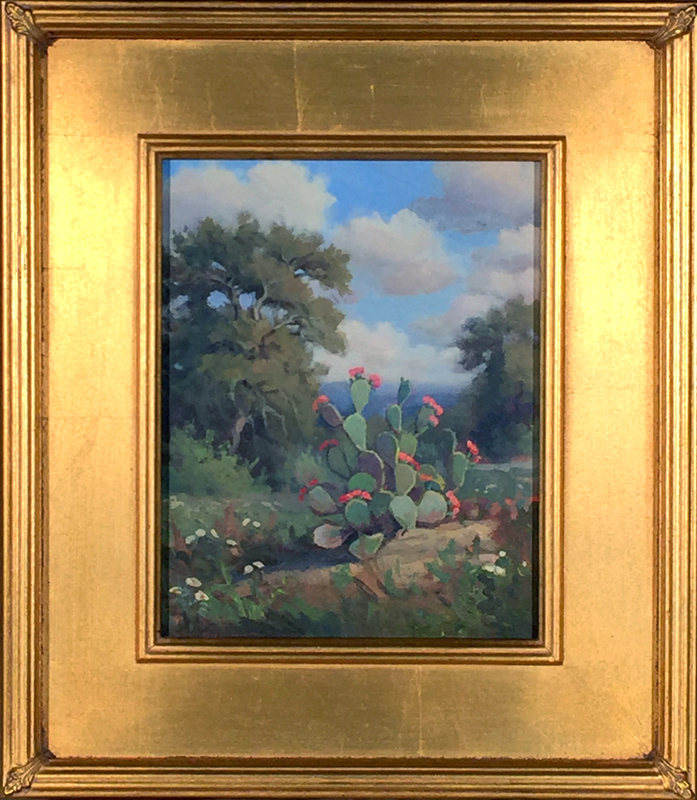 Many private collections around the world. Eric is one of four in his family to paint professionally. 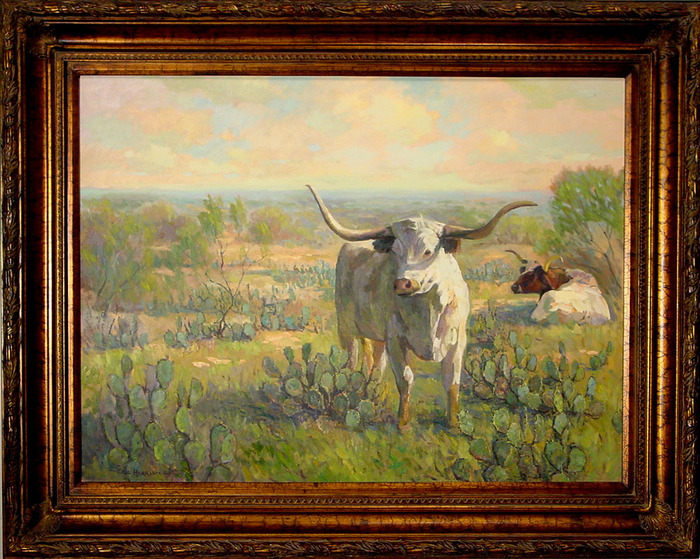 Eric's great grandmother Myrtle (deceased 1968), his Father Robert (Born 1949) and his 16 year old son Noah are all great Texas Artists.